When Paul Golini Jr. and brothers Andrew and Dan Guizzetti launched Empire 22 years ago, they brought a bold new vision to a business that had been started by Golini’s father and the Guizzettis’ uncle. Paolo Golini Sr. and Andy Guizzetti had formed a company in 1986 to develop land in the Dundas, Ontario area. But when the younger Golini and Guizzettis joined the business in the early 1990s, they wanted to create an innovative land development and building company that would take the process from start to finish, beginning with market research and raw land development, to community design, to construction to customer service. In 1993, the business was relaunched as Empire Communities. But Ontario was in the throes of a recession and the three young men had to temper their dreams with hard reality. They pitched in to work as labourers and site supervisors, swept floors at new houses, decorated model homes, delivered oil to housing sites and acted as couriers. Perseverance and patience won out and the vision unfolded. Empire has become one of the province’s top builders of master-planned communities, constructing more than 10,000 single-family and high-rise homes across Southwestern Ontario and the GTA over the past 20 years. 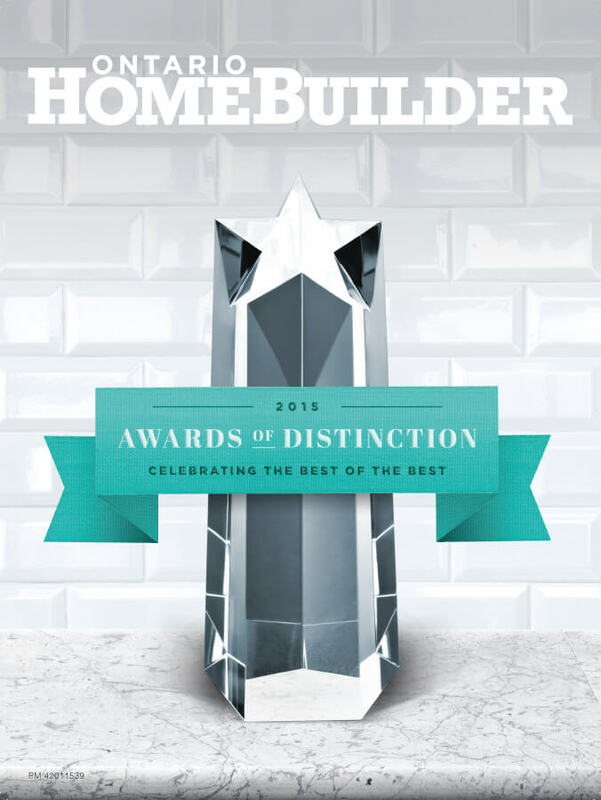 Recent efforts, such as Empire’s Eau Du Soleil waterfront community, helped the company earn Ontario Home Builder of the Year honours at the Ontario Home Builders’ Association 2015 Awards of Distinction. 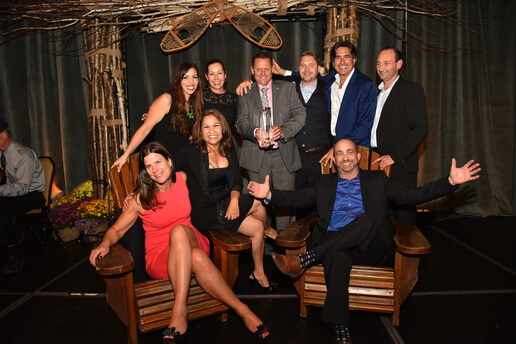 Eau Du Soleil was also awarded Best Website (Builder or Renovator) and Best High-Rise or Mid-Rise Project Sales Brochure (4+ storeys), adding to the nearly 100 domestic and international honours for design, marketing and sales excellence the company has garnered. While many builders concentrated on Toronto and the immediate surroundings, Empire took a chance on places such as Brantford, Binbrook (in the Hamilton area) and Breslau (on the edge of Kitchener) before the Greenbelt legislation came in. Those sites weren’t affected by the development restrictions the legislation imposed and this allowed Empire to create large master-planned communities and play a leading role in the ongoing evolution of those areas. At the time, those communities may have seemed like they were in the middle of nowhere. But Empire recognized that all were within easy commuting distance of larger urban centres such as Kitchener/Waterloo, Hamilton and St. Catharines. And they offered buyers more affordable housing costs than in the GTA since land costs were lower. “We’ve grown to be a regional builder and we aren’t afraid to go into areas that have been overlooked or that other developer-builders may not have wanted to risk going into,” says Golini. Empire continues to build low-rise communities outside the 416 area code and has just launched Avalon in Caledonia, 10 minutes from the Hamilton airport. The master-planned community will eventually have more than 3,300 homes. Empire also became one of the first low-rise builders to embrace high-rise construction in 1997 when it developed Empire Place on a piece of land it had held for years in Richmond Hill. The best condo consultants were hired, from the architect to the surveyor, and the partners used the experience working with those experts to educate themselves about condo building. Now high-rise projects constitute about half of Empire’s business. While its low-rise sites are outside the 416 area, it moved into the GTA market with downtown projects including Fly, Schoolhouse and Modern, as well as the Continental and C-Condos in North York, and Rain in Oakville. Its latest condo projects include Senses in Oakville, and Eau Du Soleil, a project that will be a flagship for Empire. One of Canada’s tallest waterfront condos, it will be “a high-rise city” with 1,285 units, while rising to 700 feet, with two towers connected by a series of cascading terraces. In 2016, Empire also plans to launch “an incredible project” in the coveted Yorkville neighbourhood in Toronto, Golini notes. Last year, the company underwent a rebranding to mark its two decades in business, engaging its executives, employees and homebuyers in the exercise. It dropped ‘Communities’ from its name to become simply ‘Empire,’ while creating a new logo and adopting orange—“an optimistic colour”—as the signature colour of its brand. affirmation of what we do and why we do it; what made us who we are. Golini said he and his partners are grateful for the foresight that his father and the Guizzettis’ uncle provided, something that has helped to shape the company and create its positive corporate culture. “Dan, Andrew and I have a great partnership and we’re totally aligned to our commitment to excellence. We all bring our different strengths to Empire and we have been able to create a culture that still has a family approach,” says Golini. Empire employees are active volunteers who have participated in fundraising initiatives, including Habitat for Humanity, a $250,000 sponsorship to Brantford’s Wayne Gretzky Sports Centre, a $33,000 donation to David Hornell Jr. School for an outdoor classroom and $40,000 to the Brantford Home Builders’ Association Annual Luncheon.